From rich Maine lobster elegantly served over homemade linguini to melt-in-your-mouth crème brulee, Café Bizou marries French and California cuisine dans le coeur of the valley. 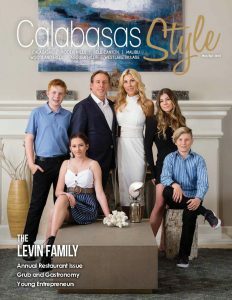 French owner Philippe Gris has been running his popular Sherman Oaks restaurant for more than 20 years, and the newer Agoura Hills location, opened in June 2017, continues the appeal to discerning guests seeking tasty and affordable French-inspired cuisine. The perfect setting for business meetings, intimate tête-à-têtes, birthday celebrations, rehearsal dinners, and more, Café Bizou offers a taste of France in a delightful setting. 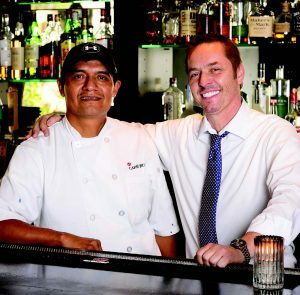 Owner Gris and Manager Benoit Lesure strive to make diners feel like family. The cozy ambiance provides the intimate atmosphere of a charming French bistro, while the friendly staff and extra space for private gatherings offer just the right touch of American largesse. Traditional Francophile favorites range from classic sweetbreads, lobster bisque and French onion soup to moules frites swimming in a sea of white wine, escargots persillade dancing in garlic butter, roasted duck breast, and double truffle pommes frites. Other popular items include tender rack of lamb; hearty bouillabaise, a seafood stew that originated in the port city of Marseille, France; and meaty roasted monkfish. Also popular are their $2 romaine salad with Dijon honey mustard dressing, $3 Caesar salad, and $2 soup of the day served with any entrée. Special holiday, lunch, and dinner party menus make it easy to enjoy the food and ambiance of Paris without paying the lofty price of a plane ticket or typical French restaurant. Whether you’re hoping to wake up your weekend with brunch specialties ranging from decadent eggs benedict to brulee French toast or a hearty lunch of beef stroganoff or spicy chicken fettucine, you’ll find plenty of reasons to shout, “Vive la France!” Perhaps you and your special someone are planning a night on the town. Look no further than Café Bizou. Their shrimp and lobster risotto on a bed of golden saffron risotto topped with a fricassee of shrimp and fresh Maine lobster will make any seafood lover smile. A tasty assortment of plats du jours (plates of the day) is also available every night from Tuesday through Sunday. 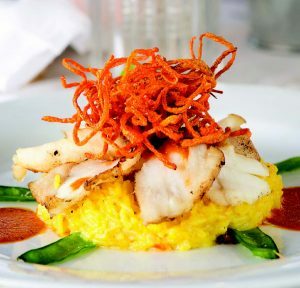 If you’re fortunate enough to be visiting on a Saturday night, try their delicately prepared Chilean sea bass. Looking for the perfect location for your next family gathering? Café Bizou’s private dining options and friendly staff will cater to your every whim. Their special party menu helps keep spirits up and costs down. Looking to give the gift of fine dining? Gift cards can be ordered directly from Café Bizou’s website and sent via certified mail to fortunate future guests of your choice. A small $2 corkage fee enables diners to bring their own wine to enjoy while dining al fresco on the patio or inside. Guests can also indulge in some of the reasonably priced spirits. There’s also a tasty three-course prix fixe menu every night. 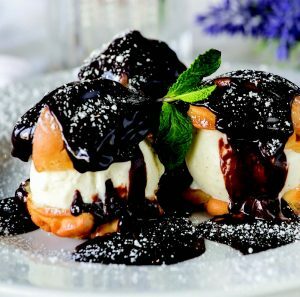 Whether feasting on a hearty serving of such plats du jour as beef Wellington or delicate parmesan-crusted sand dabs followed by luscious French profiteroles, guests leave with a smile on their face. Visit Café Bizou for weekday lunch, weekend brunch, and dinner nightly. 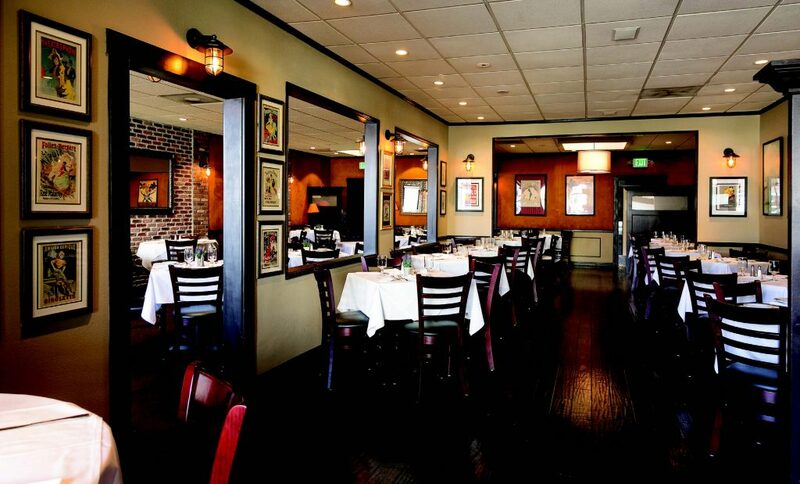 Enjoy top-quality service and delicious food served in a family friendly atmosphere.